Dr. Caldwell is a practicing chiropractic physician in Panama City, Florida. He has thirty five years of experience treating neck and back pain with chiropractic and acupuncture along with nutritional support when needed or requested. Dr. Caldwell treats old and young alike. His gentle techniques allow him to treat newborns and also the older patient whose structural conditions can no longer handle a firm hand. Dr. Caldwell treats both amateur and pro-athletes. In addition, he treats other doctors, both chiropractic and medical. Dr. Caldwell is a firm believer in a multi-disciplinary approach to healthcare. When conducting examination and reviewing patient’s x-rays for structural conditions that can be addressed by chiropractic. He is also diligent in observing abnormalities that may be better addressed by medical physicians or other holistic healthcare providers. To assist his patient he maintains a list of preferred providers with whom he has personal or professional experience. Dr. Caldwell was born in Lucedale, MS and was raised in Dothan, AL . After surviving Dothan High School he went to George Wallace Community College. From there he went to the Marine Corp and after an honorable discharge returned back to George Wallace Community College and later attended the University of South Alabama. 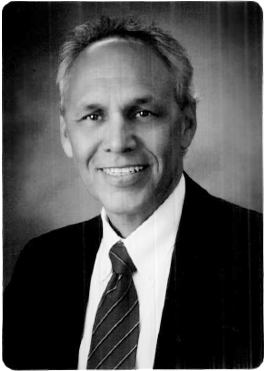 Dr. Caldwell graduated from Palmer College of Chiropractic in Davenport, IA in 1976. Soon after graduating from Palmer, Dr. Caldwell began practicing in Panama City FL, and maintains an active practice. Dr. Caldwell has taken courses leading to fellowship with the American Academy of Clinical Applied Spinal Biomechanical Engineering and courses leading to fellowship with the Acupuncture Society of America. Dr. Caldwell has also participated in many hours of post graduate continuing education in sports medicine, orthopedics, radiology, peripheral neuropathies, surface EMGs and proprietory drugs. He is currently enrolled in the ICPA Pediatric program for his certification. Techniques used by Dr. Caldwell include diversified, KST (Koren specific technique). Applied kinesiology, torque release technique, activator technique, network spinal analysis and NET (Neuro emotional technique). He also uses nutrition and clinical lab analysis in treatment of his patients. Dr. Caldwell is one of the area's only Webster certified doctors. Webster is a procedure that helps pregnant women have a more natural and easy birth by reducing the effect of biomechanical dysfunction. Dr. Caldwell has a very successful holistically oriented practice. He has been on radio and television and has held education seminars for this patients and medical groups. Dr. Caldwell currently devotes himself full time to his chiropractic practice including acupuncture and nutritional counseling.